High School Seniors and tomorrow’s leaders. Young men and women spend a week in a challenging program of discussions, inspirational addresses, leadership training and social activities designed to enhance personal development, leadership skills and good citizenship. 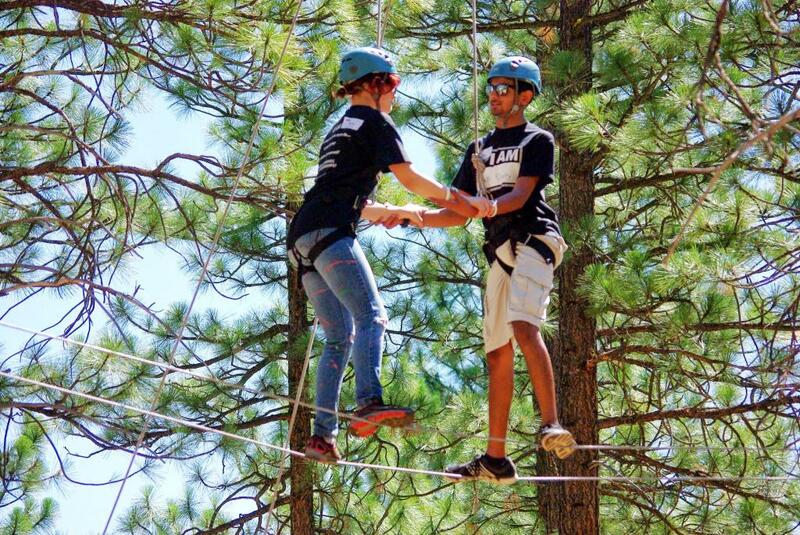 You will also have the opportunity to participate in a character building program provided by the Grizzly Creek Ranch Ropes Course, which focuses on leadership, effective communication, trust and cooperation. Utilizing adventure, personal commitments and shared insights, you will gain an increased sense of confidence in yourselves and in your team. This year, the men and women Rotarians of the 91 clubs in Rotary Districts 5180 and 5190 will present this superb educational retreat at the Grizzly Creek Ranch located near Portola. If you are selected to participate, you will have the opportunity to exchange ideas about current issues and discuss leadership and personal development with knowledgeable local and regional leaders including many District Rotarians. Attendance at RYLA is by scholarship only. All winners are selected and funded by their local Rotary Clubs. Considered one of the outstanding youth programs in Rotary, our comprehensive, volunteer staff makes RYLA a highlight of each participant’s educational experience. RYLA is committed to providing all students with a safe and supportive environment free from discrimination on the basis of race, color, religion (creed), gender, gender expression, age, national origin (ancestry), disability, or sexual orientation in any of its activities or operations.